If someone asks you to picture a hot hatch, you’ll most likely be conjuring up images of Volkswagen’s iconic Golf GTI or the mental Honda Civic Type R. But these cars are also a long way from their roots. Hot hatches were initially designed pure and simply for fun. Relatively affordable fun. Both the GTI and Type R still deliver fun in spades of course – along with class-leading refinement and genuine usability. But all that now comes at a serious price. So, what are your options if you want an old-school fun small hatch that’ll cost you less than £200 per month to lease? There is one car that fits the bill perfectly. Hatchback? Check. Fun? Check. Cheap? Double check. 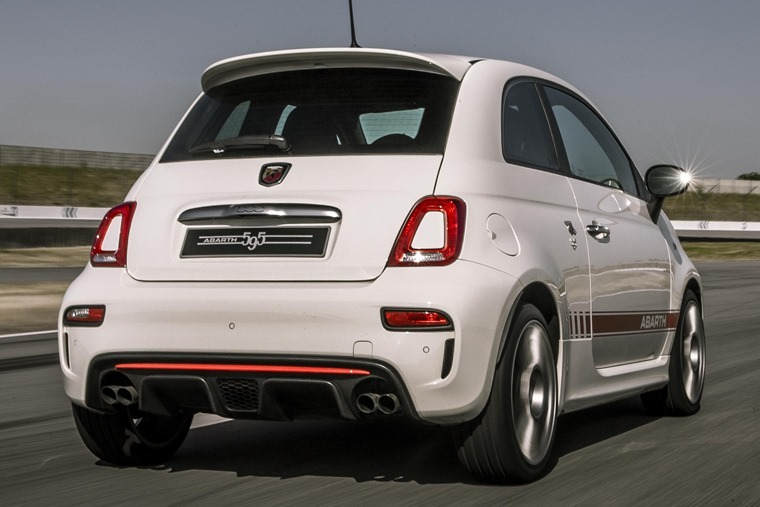 Enter the Abarth 595. Remember the days when driving was fun? Neither do we. What with all the traffic, average speed camera zones It’s quite easy to forget. But in the right car at the right time, you can still have a blast. 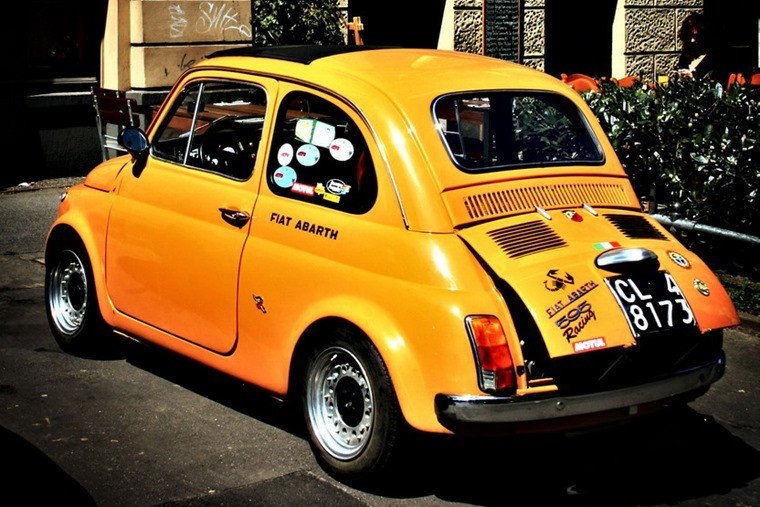 The Abarth makes you remember this. In its most basic form, that four-cylinder petrol unit produces 143bhp (also available with 158, 163 and 178) – but in a car of this size, that’s plenty enough. Its throaty exhaust note and boosty turbo get-up-and-go clash a little with its high-riding driving position and a gearstick that sprouts out of the dash. But that just adds to the fun feel of the thing. Its most recent update ushered in a new sports exhaust system too, that’s controlled by a Sport button on the dash. This also tightens up the steering and sharpens up throttle response. It all comes together to offer a driving experience like no other in its class or, indeed, any other segment really. Getting from rest to 62mph in a little over 7 seconds in the most basic versions means you won’t be beating a GTI at the traffic light grand prix, but it’s arguable that you’ll be having more fun. To the untrained eye, it might look like nothing more than a Fiat 500 with a few flared bits of trim, but that’s far from the full story. The Abarth badge can trace its roots back to 1964, when the tuning house took Italy’s tiny peoples’ car and gave it racing credentials. A host of mechanical upgrades gave the original car 37bhp and a top speed of 87mph – laughable by today’s standards, but certainly a noticeable boost over the puny 18bhp motor of the standard 500. 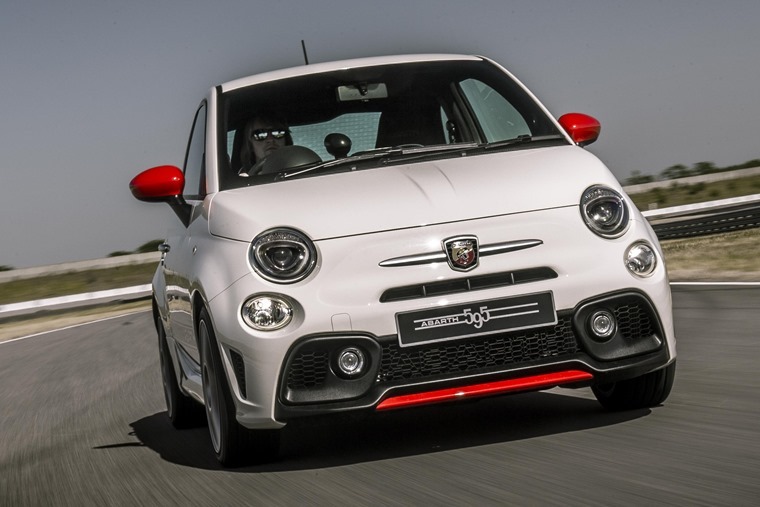 Obviously, today’s Abarths are a far cry from those that went before it – it’s a reasonably practical hatchback and the engine’s in the front for a start. That said, there are some nice little touches that mark it apart from other 500s, most notably the Scorpion badging, bright paint colour combos and of course a selection of Abarth-specific alloy wheels. While it certainly has more power than its forebear, stood next to something like the Golf GTI, it’s not difficult to see that it retains that unique quality among small pocket rockets that the original delivered in spades. Ok, so it’s not going to win any awards for being a load lugger – the 185 litres of boot space is barely enough for the weekly shop. However, with the rear seats folded flat, you’d be surprised at the amount of space is freed up. 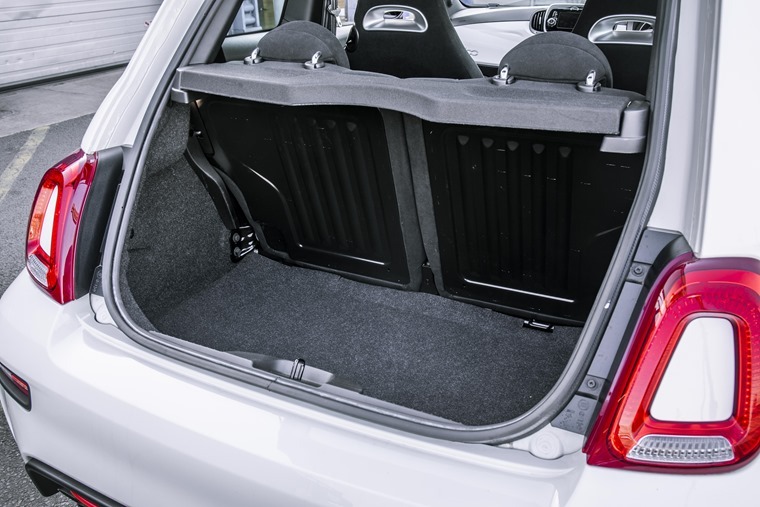 Usable luggage room shoots up to 550 litres which, combined with the rear hatch, makes it quite a usable car. 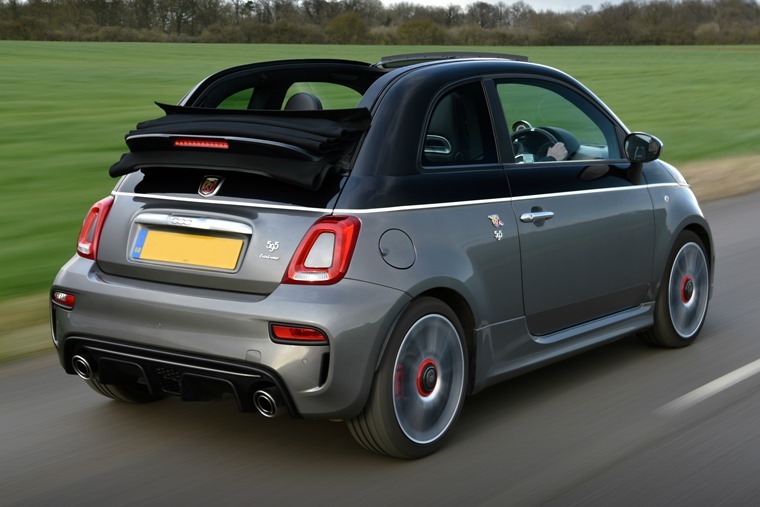 So, if you don’t regularly carry rear passengers and – let’s be honest, if you regularly carry rear passengers, the Abarth 595 is unlikely to be on your list anyway – you shouldn’t write off the little Abarth on the grounds of usability alone. So how can you make what on paper is already a seriously fun car even more lovable? Chop the roof off, of course. Yes, the 595 is available with a full-length sunroof too which, despite straying from our hatchback brief a little, will always be tempting – particularly when they aren’t too much more per month to lease than the standard car. There isn’t a better way to fill your ears with that sonorous exhaust note. That said, with the roof closed it’s actually difficult to tell you’re in something with a soft top. We just couldn’t decide whether that’s because the standard car is just as loud, or the convertible is very refined. And the price for all this? Probably less than you’re expecting. On the road list prices start from between £17,000 and £18,000 for the basic 595, but there’s some seriously tempting lease rates currently available. Monthly payments start from less than £200 – including the mid-range Turismo with the more potent engine. Even the convertible version falls within our £200 monthly budget, too. 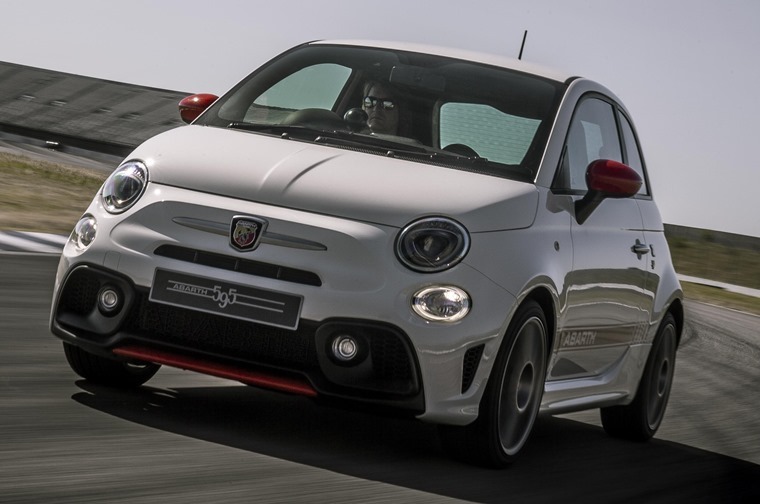 When you consider all versions of the Abarth are capable of more than 40mpg, it’s a cheaper proposition to run one that its sporty credentials would have you believe. In fact, we reckon it’s the most bang for your buck you can currently get – for less than £200 at least.